NYC plastic surgeon Dr. Elan Singer is in one of the most competitive plastic surgery markets anywhere. Plastic surgeon and naval reserve officer, Elan Singer MD is practicing on the Upper East Side of Manhattan. We got together with Dr. Singer and asked him what he's going to make sure his practice continues to thrive. 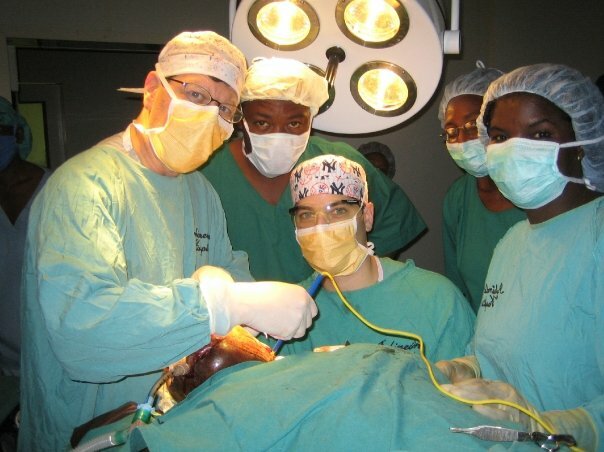 That's interesting: Dr. Singer has performed reconstructive surgery on patients from all over the world, including surgical missions to Haiti and Nigeria. Dr. Singer is also an officer in the United States Navy Reserve and performs monthly surgeries at the Walter Reed National Military Medical Center in Bethesda, Maryland. Tell us more about your specialty training. I knew I wanted to go into plastic surgery early on in my medical training. Completing my residency training at Mt. Sinai Hospital in Manhattan, I felt that additional training, specifically in cosmetic surgery from the masters of the craft, would be very beneficial. For this reason, I remained in Manhattan and completed a cosmetic surgery fellowship at the Manhattan, Eye, Ear and Throat Hospital. Cosmetic surgery demands attention to detail and for those of us surgeons who seek perfection, it affords us the daily challenge of striving to increase our patient’s expectations rather than to decrease them. I am in solo practice in Manhattan and my office is located on the Upper East Side. While I do perform reconstructive procedures, most of my time and effort is devoted to the treatment of the cosmetic patient. We have a fully accredited operating room in the office with a board-certified anesthesiologist present at every procedure requiring anesthesia. This allows me to devote all of my attention to the surgery without distraction. It also allows the patient to avoid the privacy issues and inefficiencies associated with local hospitals. What are your strategies in dealing with staffing challenges? Staffing is one of the most difficult aspects of running a business. An employer must always understand where an employee is coming from. That is to say, I strive to put myself in my employee’s shoes and I have found that people simply need to be happy at work. If the staff have a pleasant work environment and are adequately compensated, then they will enjoy what they do and be efficient and motivated. To that end, we have devised an incentive program that includes financial rewards for hard work. What are your thoughts on current cosmetic laser treatments? Are you using IPL and cosmetic lasers in your clinic? I am a firm believer in laser technology in the treatment of a variety of skin conditions. I also know that there is no single “magic bullet” when it comes to lasers. In order to provide cosmetic patients with the best treatment options, providers must have many laser technologies at their disposal. Because my practice is geared towards procedures (both invasive and non-invasive), I have chosen to work with several dermatologists who maintain a full complement of lasers to treat my patient’s skin concerns. You're practicing plastic surgery in Manhattan... a very competitve market. What advertising methods have you found to be the most effective? The best marketing tool for my practice is word of mouth. However, in order to drive patients into the office, I have found that some form of advertising is beneficial. Because much of my patient population is on the younger side, I have found that online advertising is best. I am also active on several plastic surgery blogs and occasionally write online articles. The more exposure I have to the internet, the better. What services are currently generating the most profit? Because of the economic downturn, I have found that many patients are reluctant to spend the higher fees associated with surgery. The non-invasive injectable procedures have become increasingly popular. Aside from the non-invasive treatments, my most common procedure still remains breast augmentation. What's it like as a plastic surgeon in NYC? You must have some stories to tell. Practicing cosmetic surgery in Manhattan allows for some very interesting situations. What's the best advice you can give to other physicians looking to situate a new clinic? The best advice I could give another physician is to first pick the geographic area you would like to practice in. Once you’ve made that decision, then you can concentrate on how you’re going to make it work. Don’t let anyone tell you that you can’t practice where you would like to. About: Dr. Elan B. Singer is certified by the American Board of Plastic Surgery and a Fellow of the American College of Surgeons. He received his undergraduate degree in government from Hamilton College and his medical degree from the University of Vermont. Dr. Singer completed plastic and reconstructive surgery training at The Mount Sinai Medical Center in New York where he remained for further instruction in aesthetic surgery at Lenox Hill Hospital and the prestigious Manhattan Eye, Ear and Throat Hospital. He is currently in private practice in Manhattan and holds an academic appointment at The Mount Sinai Medical Center.